Patrick “Pack” Walsh may not know where he’s going in life, but he’s happy where he is. He’s got a job lined up for himself after graduation. A great girlfriend. And can’t really see himself ever leaving his small town. Then, on his eighteenth birthday, a letter from his mother changes everything. Because she’s dead. At least, that’s what he always believed. 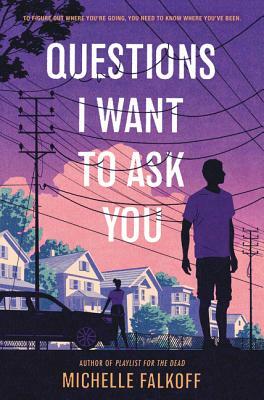 Questions I Want to Ask You is a contemporary realistic coming-of-age story with an emotionally-driven mystery at its core. Kirkus praised it as "a well-rounded, much-needed portrait."